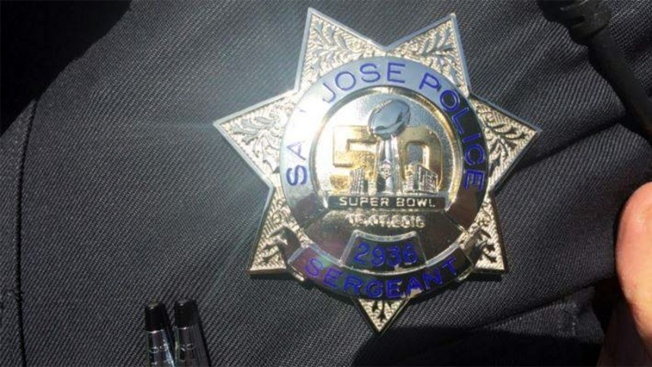 Super Bowl 50 is stretching law enforcement agencies to the limit, but not many are feeling the pinch as much as the understaffed San Jose Police department. Right now, it's all hands on deck, and all hands are busy. It was quite a scene Friday: San Jose police, headed by the department's Special Operations Division, escorted Carolina Panthers players, their friends and family from the downtown Marriott hotel to a Super Bowl party at the Fairmont. It's not a far walk, but a stressful one when you're in charge of getting the group there safely. To cover all the security needed at the Panthers' hotel, as well as the other Super Bowl-related duties, which includes officers working undercover at the game, SJPD Chief Eddie Garcia says the department canceled all vacations or days off this week, and many specialized units, including detectives, are on the streets. "They're working 12-hour shifts. Patrol is working 12-hour shifts," Garcia said. "To get this done is nothing short of incredible." SJPD spokesman Albert Morales says 911 calls will remain the top priority. "It's all hands on deck," Morales said, "so we definitely are going to be prepared." Many local businesses plan to provide free meals to officers working around the clock. The downtown Erik's DeliCafe is preparing 1,200 sandwiches. "We have officers that, you know, aren't working in the glitz and glamour of the Super Bowl," Garcia said. "We can't forget the men and women who are answering the call for service for the million-plus residents of this city who have nothing to do with the Super Bowl." The extra security will deliver quite a blow to the city budget, with so many officers working overtime, but officials say they hope it will be offset by the extra revenue generated by Super Bowl visitors.